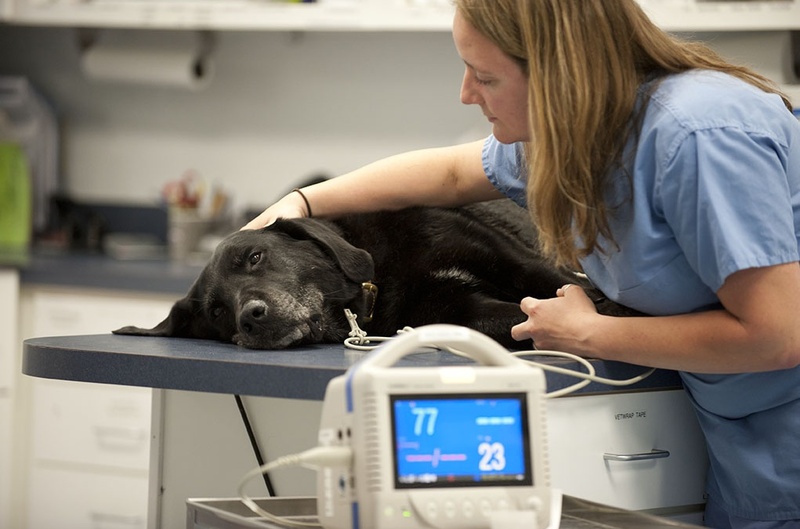 If you are concerned or unsure if your pet needs emergency care, please call us at (802) 863-2387. If your dog or cat ingested something poisonous please call your veterinarian or Pet Poison Helpline at 800-213-6680 for help immediately! The sooner a dog poisoning or cat poisoning is diagnosed, the easier, less expensive, and safer it is for your pet to get treated! Saline – This is used to flush out wounds when dirt or debris is present. You may use the bottle alone, or carry a syringe without a needle to apply the saline. Saline is sold over the counter. Triple Antibiotic Ointment –This may be used for minor scrapes and cuts that your pet may encounter. A common one used is over the counter Bacitracin. Do not allow your pet to lick the ointment off of the cut or scrape. Gauze and Wrap – If your pet gets a cut that is bleeding, it is important to be able to control it until you are able to get to a veterinarian. Gauze is a soft material that you may place over the bleeding wound to help control the bleeding. A soft wrap (such as vet wrap) is then applied to keep the gauze in place. The vet wrap sticks to itself so that it stays on, but not to your pet’s fur. They will love you extra when it’s time to remove the wrap. When wrapping, make sure to place a thumb or finger underneath the wrap to ensure that you are not wrapping too tight. Muzzle – When dogs injure themselves, they are painful and this may cause them to want to bite. It doesn’t mean that you have a mean dog, just that he/she is telling you that they hurt. A muzzle will help to prevent bites to you and/or helpers.